Do you know your state’s radon regulations? Some indoor air quality contaminants are regulated on a federal level, others on a state level, some a combination of the two, and others have no regulations whatsoever. This poses a tricky problem for anyone working in the field of indoor air quality. Radon is a great example of a contaminant regulated at the state level. For professionals working in multiple states, it can be maddening to wade through the various requirements and regulations. I’ve always been on the lookout for a comprehensive list of state radon laws. I even toyed with building one myself, but that would be a month worth of work. You can imagine my elation when I came across a fully compiled list of all the state regulations! Credit goes to Betsy Janes of the Northern Kentucky Radon Coalition who posted the list to www.radonleaders.org (September’s IAQ Website of the Month). It is a misdemeanor to misrepresent the capabilities of a device for detecting and measuring radon or radon progeny. 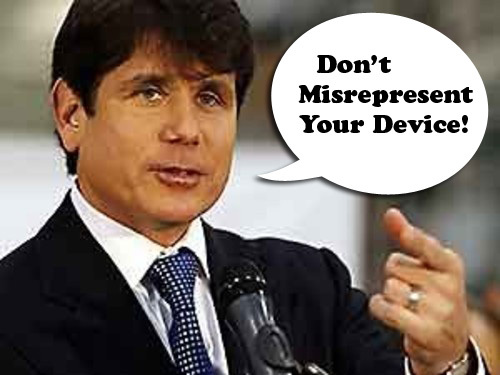 You can attempt to sell a Senate seat in Illinois and not get convicted, but darned if you misrepresent the capabilities of a continuous radon monitor in our great state! To see the full list of radon laws, visit this page on the radon leaders website: http://www.radonleaders.org/node/3592. The list was compiled in August of 2009 so it may not be 100% up to date. Always check with your state’s radon office for the latest regulations. If you know of any new radon laws, please leave a comment below! As so far I know All radiation are dangerous for human, Radon must. So, we need to know what about the radon level of our environment. Let us control radon level to have a better environment, a radiation free environment.